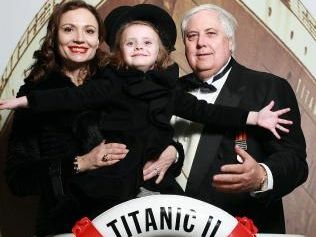 Clive and Anna Palmer with daughter Mary when the Titanic II was first announced back in 2012. IT'S not quite shuffling deckchairs on the Titanic, but embattled tycoon Clive Palmer is shifting his treasures - including items from his ill-fated replica of the world's most famous ship - as liquidators circle his assets. Valuables including crockery and cutlery from Titanic II and a vintage Bentley have been mysteriously delivered in shipping containers to Mr Palmer's derelict Avica resort on the Gold Coast, the Courier Mail reports. Federal Government-appointed liquidators probing the demise of Queensland Nickel this week moved to freeze more than $200 million worth of assets owned by Mr Palmer, his associates and companies. 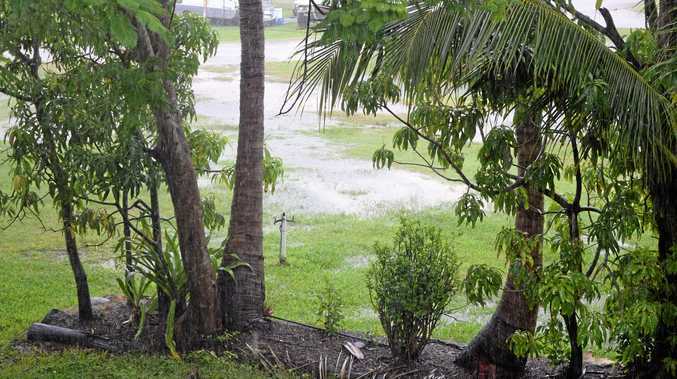 Sources said the shipping containers were moved to the Avica resort at Merrimac last Friday, just days before liquidator PPB Advisory launched Supreme Court action to stop Mr Palmer from selling assets.